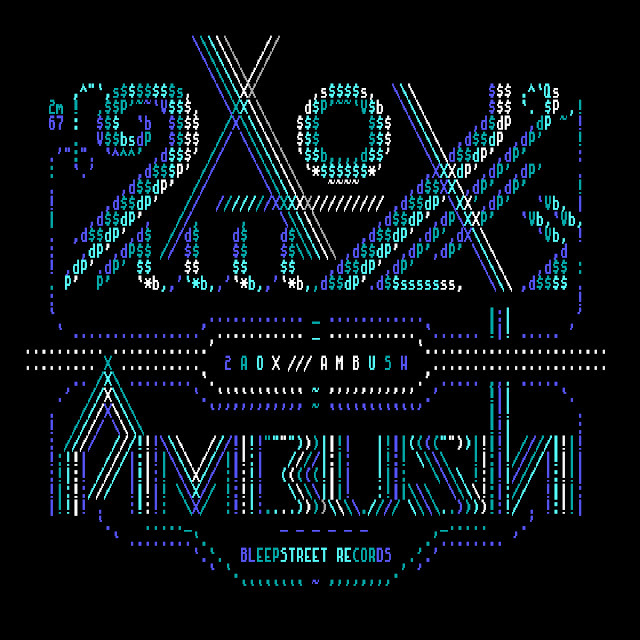 Getting back to 2A0X, his latest release reviewed is called, Ambush EP, and is full of experimental, bright & archaic jams, over drums of a Roland TRT-808. Right off the bat this is completely different from Henry’s definitive sound, with a lot more distorted vibes layered over each other to create an eclectic beat. Ambush is the first song on the track list and lifts this EP off to an amazing start, with its leads playing with a staccato style, whilst the drums subtlety come out underneath. The bass is very quiet throughout the song, giving its bright and & punchy style. Ambush is a welcome change from the usual bassy electronic style that comes from chiptune, and sets the tone nicely for the EP. The next song is a remix of Ambush from Dion Blaster (a reference to the snowboarder from 1080 for the 64), is a fantastic remix to include on the EP. It does everything what Henry does extremely well in Ambush, but includes some fantastic distorted beats, samples and brilliant hollowed, squared leads. It’s structured very nicely, playing more powerful leads till the end. This is has to be my favourite remix, and will be for a long time! $4020 is a hugely experimental track is features some real distorted sounds under a bright & rhythmic lead. I love the drums through out the track as they really work with the leads, and remind me of some those old school 90s beats you get, such as Technotronic’s, Pump up the Jam. The final song, pAPU takes experimentation further by adding some funky beats along with some real static and distorted pitch shift (with wah included). This feels as the most experimental song out of the entire EP, due to the so many different unique sounds going into the song. Its nice to hear Henry taking his music style even further but under a different name. Luke’s Atari was only released last year, but I’m already starved for a new release. However after hearing Ambush EP, its obviously his next material will be really raising the bar in the future of chiptune.